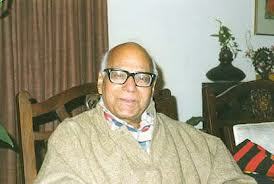 Pujya Ramswarup Garg (1920-1998) is perhaps the greatest Hindu intellectual of post-independent Bharat. 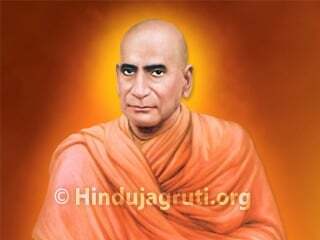 Sitaramji Goel was his most outstanding disciple, also known an ‘Intellectual Kshatriya’. 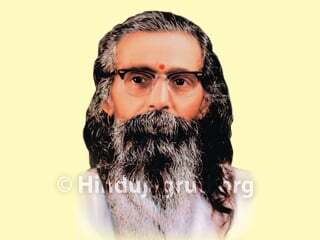 Pujya Ramswarupji was firmly of the view that the foremost task of an intellectual lay in his effort to break down the stereo-types and reductive categories which have a limiting and choking impact upon human thought and communication. 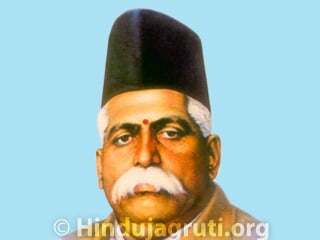 Pujya Ramswarupji was a crusader for ‘Sanatan Dharma’, Hindu culture, Hindu civilisation, Hindu society, Hinduism as a whole and above all for things, issues and ideals which were Hindu in character. He wrote in his ‘Hindu View of Christianity and Islam’: "If religious tolerance is a value, Christianity as well as Islam lacks it badly. Wherever they have gone, they have carried fire and sword and oppressed and destroyed as far as it lay in their power. They demolished and occupied the temples and shrines of others. Any tolerance shown was an exception, intolerance was the rule." Pujya Ramswarupji clearly concluded that the destructive record of Islam and Christianity through the ages has been outdone only by Communism. 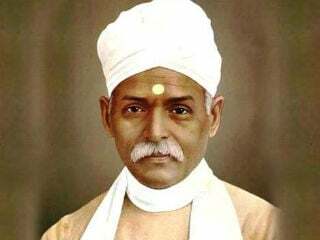 Likewise, he rejected the philosophy of ‘ Sarva Dharma Sambhav’ of Mahatma Gandhi on the ground that the tolerant polytheistic Hinduism can never be equated with brutal monotheistic religions like Islam and Christianity. 1. ‘The Word as Revelation: Names of Gods’ (1980), on the rationale of polytheism; Hinduism vis-à-vis Christianity and Islam. 2. ‘Understanding Islam through Hadis’ (1983 in the USA by Arvind Ghosh, Houston; Indian reprint by Voice of India, 1984); in 1990, the Hindi translation was banned in Bharat. A. Foreword to a re-publication of DS Margoliouth’s ‘Mohammed and the Rise of Islam’ (1985, original in 1905). B. Foreword to a re-publication of William Muir’s ‘The Life of Mahomet’ (1992, original in 1894); ‘Woman in Islam’ (1994); ‘Hindu Dharma, Isaiat aur Islam’ (1985, Hindi: ‘Hindu Dharma, Christianity and Islam’); ‘Hindu View of Christianity and Islam’ – Syed Sahabuddin, a Janata Dal Member of Parliament wrote a letter on 20th August 1993 to his co-religionist, the Union Minister of State for Home Affairs (Late) P M Sayeed, asking the Government of Bharat to have the book examined from the point of view of banning it under the law of the land. This book is one of the first serious comparative studies of religion written from the Hindu viewpoint; banning it would be a direct attack on the right of Hindu society to develop an intellectual response to ideological challenges. 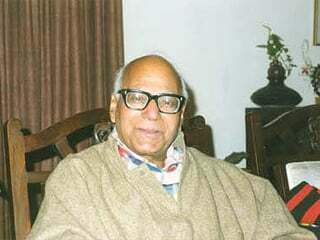 Syed Shahabuddin had earlier managed to get Salman Rushdie’s ‘The Satanic Verses’ banned in September 1988; a prompt response by Arun Shourie in his weekly column and a petition of intellectuals led by Prof. KS Lal contributed to the defeat of Shahabuddin’s attempt to get Pujya Ramswarupji’s book banned. 3. ‘Ramakrishna Mission. Search for a New Identity’ (1986), a critique of the RK Mission’s attempt to redefine itself as ‘non-Hindu’. 4. ‘Cultural Alienation and Some Problems Hinduism Faces’ (1987); ‘Hindu-Buddhist rejoinder to Pope John-Paul II on Eastern Religions and Yoga’ (1995), a rejoinder to a Papal statement opposing yogic spirituality. 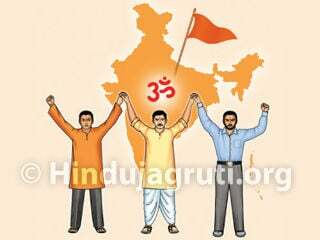 In 1982 he founded the non-profit publishing house ‘Voice of India’, which published works by revolutionary Hindu Authors. American author David Frawley wrote, "While Voice of India had a controversial reputation, I found nothing irrational, much less extreme about their ideas or publications… Their criticisms of Islam were on par with the criticisms of the Catholic Church and of Christianity done by such Western thinkers as Voltaire or Thomas Jefferson. 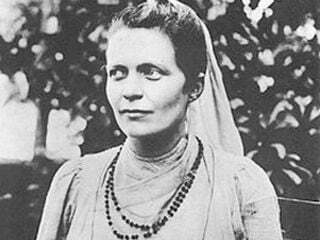 In fact they went far beyond such mere rational or historical criticisms of other religions and brought in a profound spiritual and yogic view as well." His works on Communism were reviewed and praised in the West and in Bharat by people like Bertrand Russell, Arthur Koestler, Aurobindo, Ashoka Mehta, Sardar Patel and Philip Spratt. 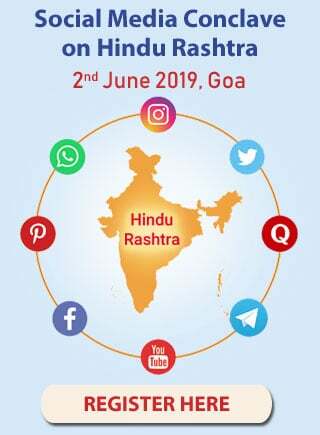 Pujya Ramswarupji has written for mainstream Indian weeklies and dailies like the Telegraph, Times of India, Indian Express, Observer of Business and Politics, Hindustan Times and Hinduism Today. 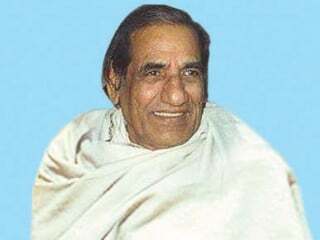 Pujya Ramswarupji passed away on 26th December 1998. Celebrate Gudhipadwa as New Year’s day and not 31st December!